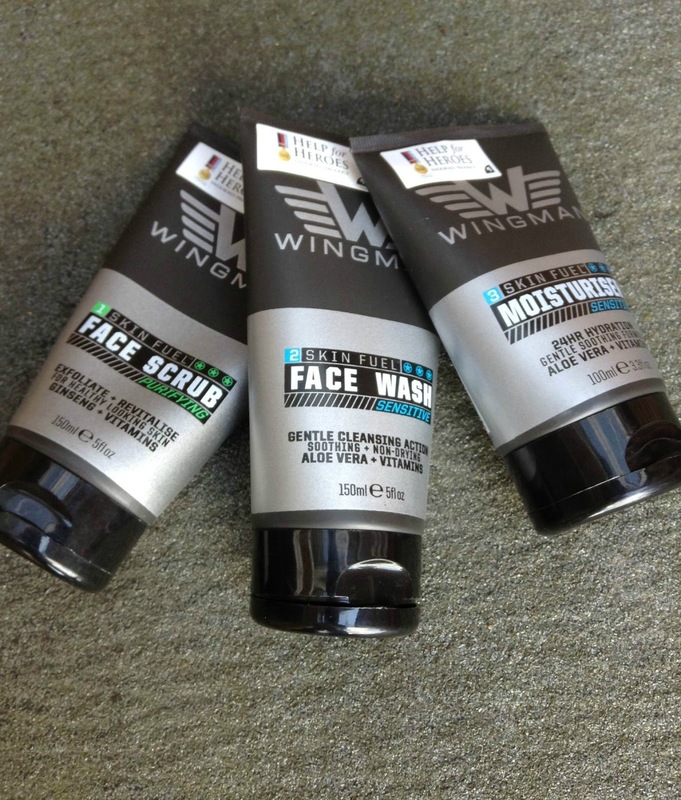 It has been a while since I was originally sent and opened (with glee) a massive package from the lovely folk at Wingman. I had expected maybe the face scrub but instead I received the entire Skin Fuel range and have well and truly put it through it’s paces. So what will I be talking about today? Well, I’ll be giving the low-down on the face scrub, face wash and moisturiser. If you follow the link, you’ll actually get to the apricot, ginseng and vitamins page for the face scrub - I actually received the scrub with just ginseng and vitamins although I really like the idea of an apricot fragrance and infused scrub and will be one I try out. ‘Purifying cream scrub exfoliates dead skin cells, unclogs pores and removes impurities like oil and dirt. Ginseng helps stimulate and activate the skin, leaving it looking fresh and feeling smooth. Thick in texture as soon as the scrub is released from the tube you can see the little flecks that will act as the abrasive when massaging into the face. I was surprised that it seems to lack a powerful fragrance instead opting for a subtle yet clean and fresh smell. In my opinion you can detect a touch of ginseng but there is nothing here that lingers on the skin longer than a few minutes after using it and rinsing your face. As it’s massaged into the face you can feel the fine sand like particles brushing across the skin - not too abrasive but clearly (from the colour of the water) removing the dirt and oil that had built up on my face. It spreads really easily and after rinsing off my face (with a beard most of the time) not only did my skin have that just scrubbed glow but it stayed, I was positively radiant all day when I caught glimpses of myself in the mirror. Now that’s good. To the touch my skin felt smooth so step one gets a thumbs up from me. ‘Foaming gel cleanses dirt and debris from sensitive, dry or easily irritated skin. With soothing Aloe Vera to help reinforce natural defences, skin will be nourished and refreshed. Now this has a stronger fragrance, and boy you get a good old blast of strong Aloe Vera (which I love) as soon as you squeeze it into your palm. The fragrance only intensifies as soon as it comes into contact with warm water and lathers up surprisingly well considering the fluidity of the face wash. While the face scrub removed any grime and dirt I found the face wash to be really soothing, and leaving on my face for a good 30 seconds before rinsing resulted in a fantastic cooling sensation. Despite the cooling effect that radiant glow on my cheeks, nose and forehead remained. In the words of Mr Burns from The Simpsons……”excellent” (if you can, picture me tapping my fingertips together with a slightly manic grin….). After rinsing my face again I was again surprised that the face wash had removed another layer of grime (or I missed a spot with the scrub - I’ll never know) and the water was slightly discoloured (ewwwwww). 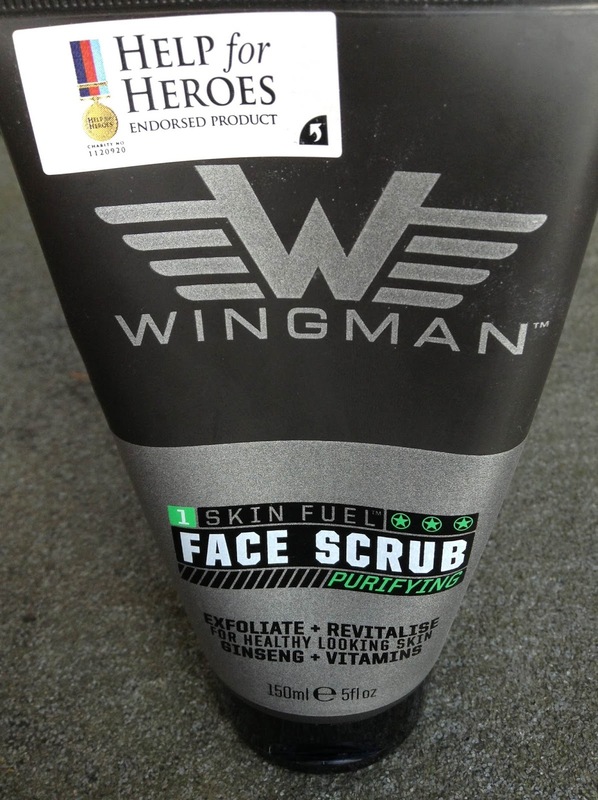 So all that is left for me to say about the face wash? Nice one (said in a deep Mancunian accent). ‘Hydrating gel with Aloe Vera helps soothe sensitive, dry or easily irritated skin. Actively supporting natural defences, it moisturises and mattifies with a non-greasy finish. 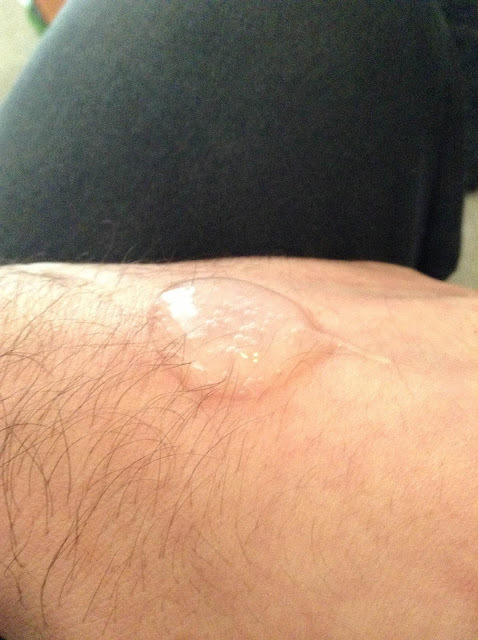 With a slightly more subtle Aloe Vera fragrance the moisturiser to me seemed a little too thick when I first dispensed it. The touch of concern that niggled for just seconds that it would take an age to be absorbed or from the feel of it that it, would leave my face greasy were thankfully unfounded. Absorption is quick, really quick in fact and it spreads across the face becoming clearer in colour. It soaked into my skin so quickly that I actually went back and applied a touch more. No signs of a greasy face, in fact my face just had a rather matte glow and I was impressed. To the touch my face was soft and smooth - it certainly felt hydrated and for that I am truly grateful! So after using these as part of my day to day skincare regime I have to say I was impressed with the range. While I found that I had a bit of trouble when applying too much product containing ginseng this speaks more about my skin than the product. When I consider the results and the fact that these products to me fall into the affordable to the masses category there is no reason for blokes out there to neglect their faces. They do what they say on the tin, the products aren’t tested on animals and they look manly enough that even the hardest of hard men wouldn’t be embarrassed about having these in the bathroom. Most blokes at some stage of their lives have had a wingman (reference Men Behaving Badly circa 1992), as I grow older, this is the only wingman I need. 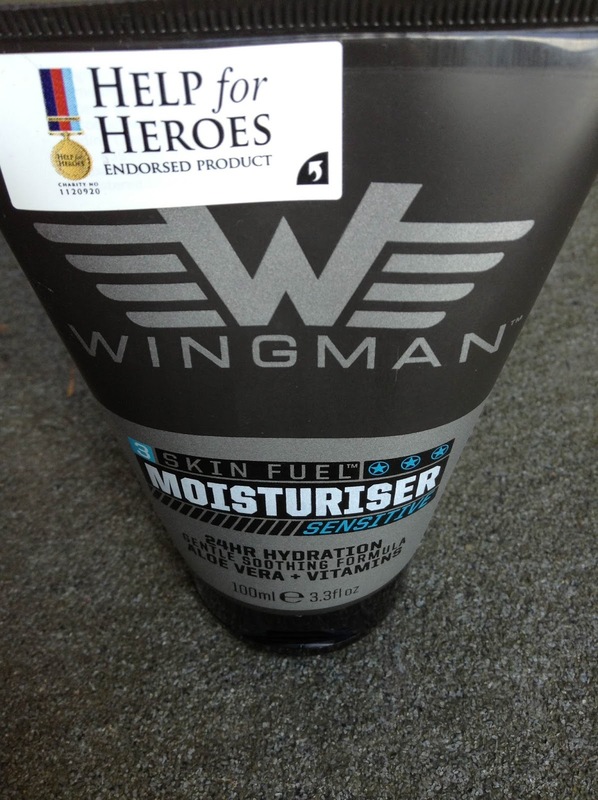 As a post note, it is worth me pointing out as a final clincher that Wingman products are endorsed by Help for Heroes, the UK charity who give practical, direct support to wounded and injured men and women from the armed forces. Every time you buy a product Wingman make a donation to an incredibly worthwhile charity. I love that you are a scrubber like me. My boyfriend is too so am going to buy some of this for him now. Its great that this is one that doesn't leave your skin too dry as that can be a problem with some brands that I've tried. I love a good face scrub and wish my oh would use them more often. I like the sound of this product the name of it alone would make me buy it. Only you could reference Men Behaving Badly! What some great sounding products - love that they really seem great value for money. I always tend to buy Bulldog products for my boyfriend but these look like a great alternative! I'll definitely be buying these next! The fact that they support HfH is a definite plus,l will point them out to my husband next time we're shopping! Great sounding products - and I like the charity link too. I hadn't heard of this range before but the products sound very good. It's great that they support Help for Heroes too. That 4th photo down looks like a boil on your hand. But still everyone loves scrubbers! I do need some face scrub, skin is looking a little tired lately. OH would probably use it and it's not too expensive. Good that they are linked with a great charity. I love that they make a donation for every product bought - I wish more companies would do that. Great price for these too. 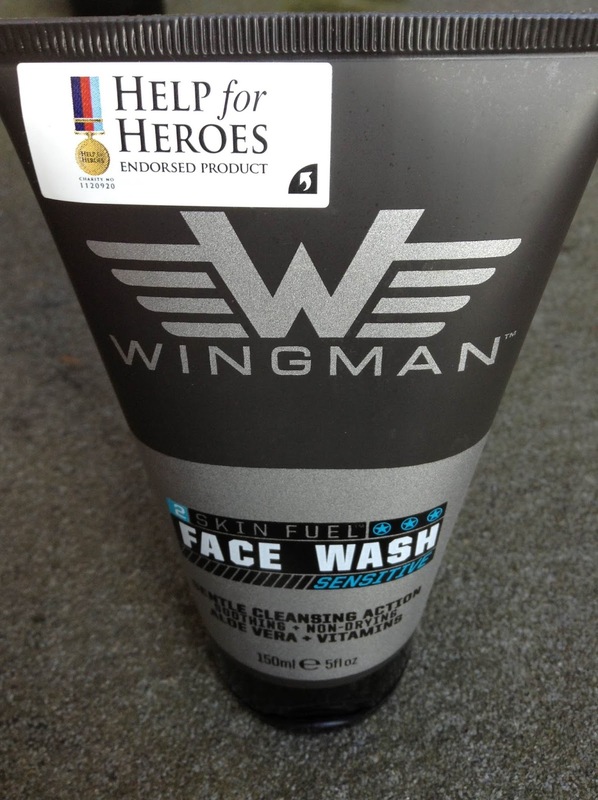 Love the Help for Heros aspect, will definitely recommend these to my Husband! In the event that a few immediate cost is actually persuasive you to definitely borrow cash, you'll need not really wander right here and presently there within normal financial marketplace since you may not really obtain educational funding presently there promptly.